Pretty pink and green bee wooden keepsake box lovingly crafted in simplicity and uniqueness, to keep your mementos and yesterdays forever after. Heart shape wooden keepsake box dotted with blue stars. 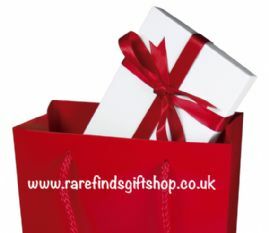 Where else to keep those precious mementos but in a box engraved with "Truly yours". Butterfly heavenly blue wooden keepsake box lovingly crafted in simplicity and uniqueness, to keep your mementos and yesterdays forever after. Colourful caterpillar wooden keepsake box lovingly crafted in simplicity and uniqueness, to keep your mementos and yesterdays forever after. Flower petals in array wooden keepsake box lovingly crafted in simplicity and uniqueness, to keep your mementos and yesterdays forever after. Heart shape wooden keepsake box dotted with hearts. Where else to keep those precious mementos but in a box engraved with "Truly yours". Four tiny hearts wooden keepsake box lovingly crafted in simplicity and uniqueness, to keep your mementos and yesterdays forever after. Heart shape wooden keepsake box dotted with olive heart and stars. Where else to keep those precious mementos but in a box engraved with "Truly yours". Pink twirls and swirls wooden keepsake box lovingly crafted in simplicity and uniqueness, to keep your mementos and yesterdays forever after. Delightful double planters wooden keepsake box lovingly crafted in simplicity and uniqueness, to keep your mementos and yesterdays forever after. Shades of purple wooden keepsake box lovingly crafted in simplicity and uniqueness, to keep your mementos and yesterdays forever after. Burst of colours announcing spring wooden keepsake box lovingly crafted in simplicity and uniqueness, to keep your mementos and yesterdays forever after. Touch of the Old West wooden keepsake box lovingly crafted in simplicity and uniqueness, to keep your mementos and yesterdays forever after. 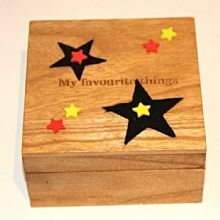 Bright stars, dark stars, big stars, small stars wooden keepsake box lovingly crafted in simplicity and uniqueness, to keep your mementos and yesterdays forever after.